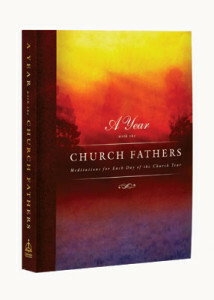 A Year with the Church Fathers follows the seasonal movements of the Christian Church Year in a broad, general fashion. 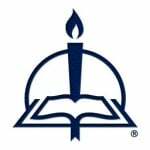 Drawn from the themes of Scripture itself, these devotions consider the salvation plan of God fulfilled in Jesus and carried to the world through the Church. Each in-depth, thought-provoking meditation connects Scripture and the Christian life to provide encouragement in the faith. The following excerpt commemorates the Old Testament prophet Jonah and includes Augustine’s personal reflection on his mother, Monica, who daily lived out her Christian faith. A singular prophet among the many in the Old Testament, Jonah the son of Amittai was born about an hour’s walk from the town of Nazareth. The focus of his prophetic ministry was the call to preach at Nineveh, the capital of pagan Assyria (Jonah 1:2). His reluctance to respond and God’s insistence that His call be heeded is the story of the book that bears Jonah’s name. Although the swallowing and disgorging of Jonah by the great fish is the most remembered detail of his life, it is addressed in only three verses of the book (Jonah 1:17; 2:1, 10). Throughout the book, the important theme is how God deals compassionately with sinners. Jonah’s three-day sojourn in the belly of the fish is mentioned by Jesus as a sign of His own death, burial, and resurrection (Matthew 12:39–41). Augustine’s mother, Monica, made a faithful and quiet confession of Christ. Her sacrificial service to others led those who met her to inquire after the source of her strength. Augustine knew that whatever honorable fruits came forth from her life, it was God, who gives every good and perfect gift, who had granted them. She used her mouth to utter what would bless and not curse. She would speak well of those who were absent, especially when they were being spoken of evilly. The very gift of speech, a gift graciously granted by God, was only to remake the world in forgiveness and repair its brokenness in mercy. A godly mother, such as Monica, is a blessed gift from God. “This great gift You bestowed also, my God, my mercy, upon Your good handmaid, out of whose womb You created me, so that, whenever she could, she showed herself a peacemaker between any differing and discordant spirits. When she had heard on both sides the bitterest things, such as swelling and undigested discord that is sometimes given vent, when the crass outrages are breathed out in bitter speeches to a present friend against an absent enemy, she would disclose nothing about the one unto the other, save what might avail to their reconciliation. . . . You were her most intimate Instructor, O God, teaching her in the school of her heart. “Finally, her own husband, now toward the end of his earthly existence, she gained for You. She had nothing to complain of in him, as one of the faithful, which, before he became so, she had endured. She was also the servant of Your servants. Whoever knew her, because of her, magnified, honored, and loved You. Through the testimony of the fruits of a holy conversation, they perceived You to be present in her heart. She had ‘been the wife of one husband,’ had repaid her parents, had guided her house piously, was well-known for her good deeds, and had brought up children (1 Timothy 5:4, 9–10, 14) as often suffering in their birth (Galatians 4:19) as she saw them swerving from You. At the last, O Lord (since in Your favor You permit Your servants to speak), she who, before her sleep in You (1 Thessalonians 4:14), lived associated together with us, and having received the grace of Your Baptism, she devoted to all of us such care as she might give if she had been mother of us all, and she served us as if she had been child of all” (Augustine, Confessions, 9.9.21–22). From A Year with the Church Fathers: Meditations for Each Day of the Church Year, pages 303–4 © 2011 Concordia Publishing House. All rights reserved.